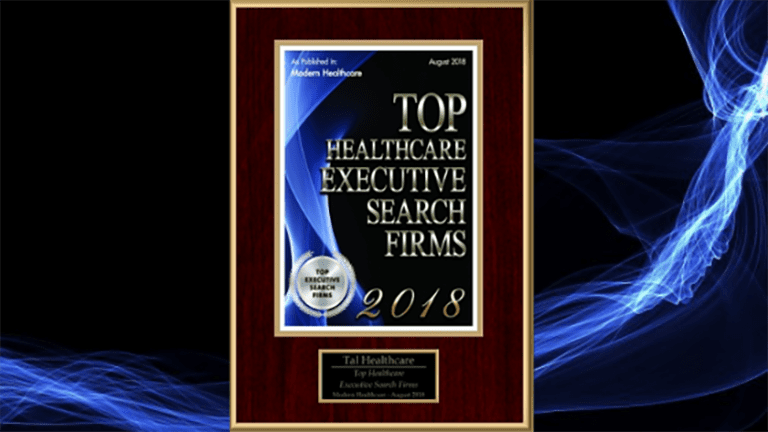 January 22, 2019 – In 2018, Tal Healthcare had the honor of being listed as one of the Top Healthcare Executive Search Firms by Modern Healthcare. Recruitment firms were ranked based on net revenue, the number of recruiters in 2017, and the number of placed candidates in 2017. We work harder and harder each year to find the best candidates for our clients, and we are so grateful to be recognized by such a prestigious publication.